Cholita - Snoozing in the sun! We work so hard to defend animals that sometimes, it is good to take a moment to see the happiness of those lovely individuals we have saved who are now enjoying the rest of their lives in peace. Pictured is Cholita, our bald lady Paddington bear, snoozing in the sun this week after a busy day playing with her boxes, food puzzles and her pool in her ADI habitat in the Amazon. Living in her protected natural forest habitat Cholita has fellow rescued spectacled bears Lucho and Sabina next door, and she enjoys just watching them through the fence. This is the joyful side of being and ADI Animal Rescuer – our Animal Rescuers help us to save all of the animals that still need our help, but also, help care for our rescued animals like Cholita – ensuring that she never runs out of her must-have grapes! 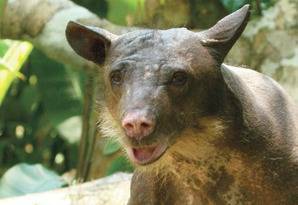 Do consider joining our ADI Animal Rescuer team and adopting Cholita or please donate to help care for our many rescued animals - Animal Defenders International (ADI). 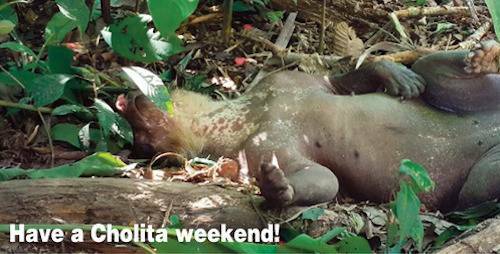 Help ADI to make sure that more rescued animals get to relax like Cholita!